Kelley McMorris illustration: It's A Kelley! 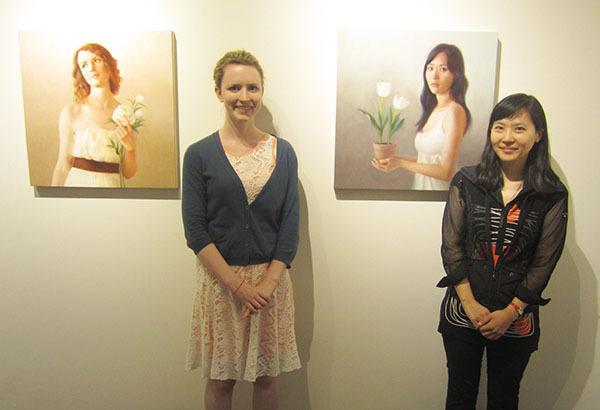 Last week I went to my friend Jinyoung's solo show, "Rebirth." 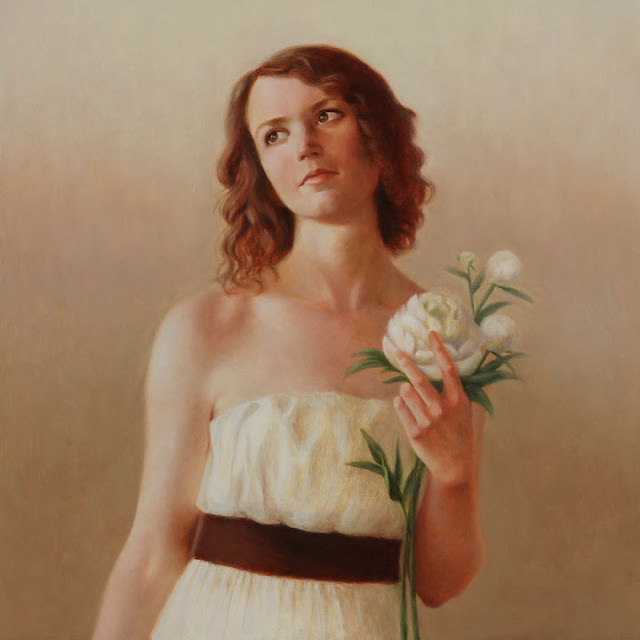 This portrait of myself was part of a series of paintings featuring young women holding white flowers, as "pure images, like goddesses," Jinyoung says. All I can say is finally someone recognizes me for the goddess I am. I mean jeez, it's about time. That's Jinyoung in the middle, surrounded by her "models." If you want to see the rest of the series, check out Jinyoung's website. 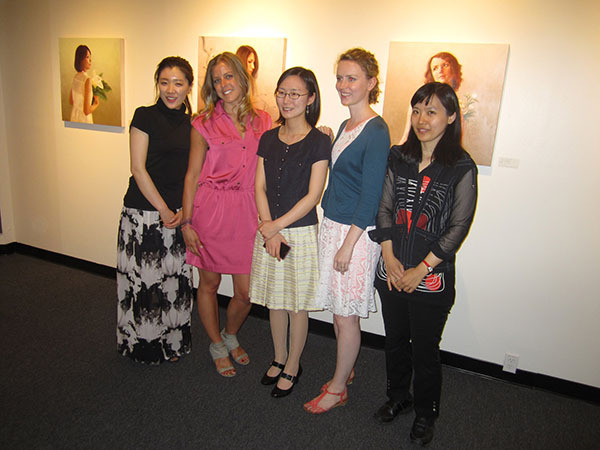 She had a very lovely show and I look forward to seeing more work from her in the future. 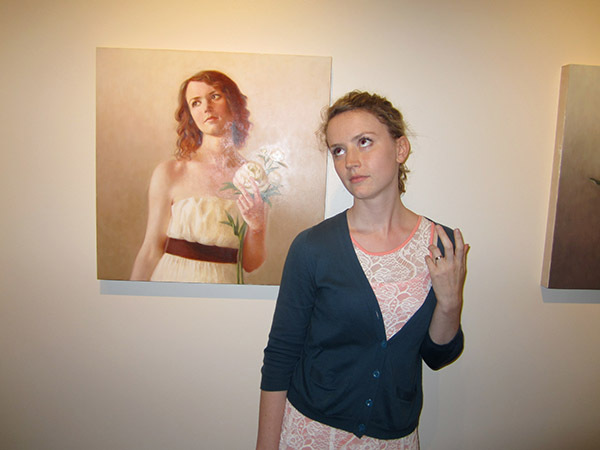 Her portrait of you has an old-fashioned feel about it. She could paint me as a Green Goddess.